You can get away with a lot when it is in short distance. That goes for relationships, moving and car travel. And while for short distance moving, you can always reach out to Manhattan movers if something goes wrong. And, for relationships, you can always find someone new if things don’t work out. For car travel, you might not be so lucky. You need to be ready if something out of plan happens during your travel, and the only way to do it is by preparing your car for long distance travel. Here is how you should go about it. It’s two weeks before the drive. You are enjoying yourself and thinking about what you are going to do once you finish your journey. Whether you are moving or just going on a trip, it doesn’t matter. Nothing bad can happen. Wrong! Well, not really wrong. Usually, nothing bad happens. But you need to be prepared if something bad does. And two weeks before the drive is prime time for you to start preparing your car for long distance travel. The first thing you need to do is to check if your car is up to speed. Some things you can do on your own, but for most, you’ll have to visit a mechanic. Before you visit one, look at your car. Pop open the hood and see if anything is leaking. Is there any filth on battery terminals. Are the bels worn out? By getting to know your car you will better know what to expect out of it. 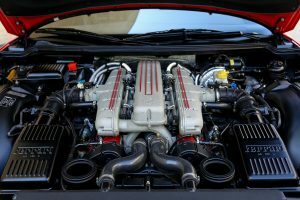 Check your engine before preparing your car for long distance travel. In order to check engine oil, you have to put your car on a leveled spot. Turn it off and wait for a minute for the oil to settle. Then pull out the dipstick and wipe it clean with a regular rag. Then, proceed to put it back into the oil compartment. Once you pull it back out again it should read full. If it is not you should put more oil in. If the oil looks too black, you should change it. Make sure that you change your oil before the trip if you have an oil change scheduled for soon. Bad oil is the main reason for car shutdowns during long trips and you should not skip checking it when preparing your car for a long distance travel. To check your antifreeze level you just need to look at the engine coolant level in the overflow tank. The level you are looking for is between low and full. If the level is too low you should make sure to check for leaks. Your car needs antifreeze in order to not overheat and cause serious engine damage. Although battery has no fluid to check, you should still give it a look. If there are any acid leaks or cracks, you should change the battery. Any corrosion can easily cause damage to your car. If your battery runs out you won’t be able to start your car, and unfortunately, there is no way for you to check how full your battery is. Check the manufacturer guide to see the recommended pressure for your tires. If you feel vibrations during driving, make sure that your tires are balanced. Treadwear should not be tolerated. It is very easy to drive in an unsafe car and not be aware of it. 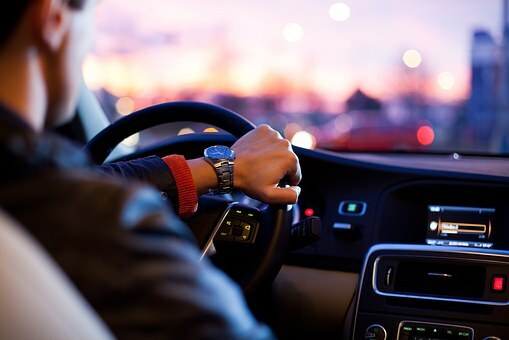 Properly preparing your car for a long distance travel is vital for you and your passengers’ safety. Check the details of your journey. Make sure that everything and everyone is up to speed. Check the route you are taking and make sure that you have all the required paperwork. Especially if you are going to a foreign country. 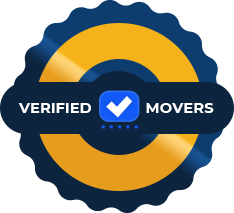 If you are moving, check with your moving company Inwood if everything is in order. Now is the time to test your packing skills. Preparing your car for long distance travel was one thing, but properly packing is completely another. Pack everything as densely as possible. You may end up needing to give up on taking some things with you. And, it is much better to do so a couple of days before moving. You can even pack in a day if the situation requires. But, make sure that everything is safely packed and that there is no risk of damage to your possessions. You need to wrap anything that is fragile. Just the vibrations of the car can easily damage your possessions, so you shouldn’t shy away from getting some packing supplies. Preparing your car for long distance travel can hardly be overrated. When you are driving around town you can get away with a bad car and bad planning. Since you can get help at every corner there isn’t much need to be prepared and alert. But when you are going long distances, every mistake can end up costing you a lot. Even though it is safer than ever to travel and you can get help from the AAA whenever you need, you should never be reckless.